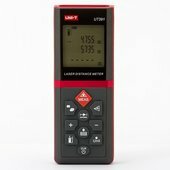 Distance estimator MS6450 allows quickly and accurately measure the distance from one given point to another. One can measure the distance of the room from wall to wall and determine the area and the volume of the given room by means of that device. 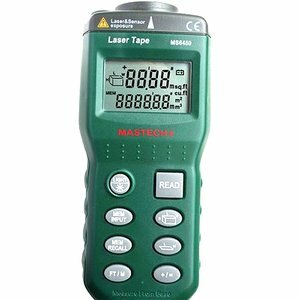 Laser distance estimator MS6450 will automatically convert received values from meters to feet and visa versa. Given device allows storing measured values. In poor visibility conditions display illumination will help to read received data.